Looking to take your next vacation to beautiful South Florida, but don’t want to spend an arm and leg to stay at a quality destination? If so, then Resort Harbour Properties was made for you! 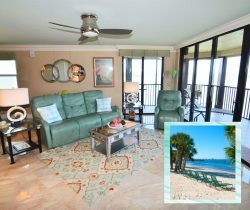 These vacation rentals at Sanibel Harbour and Fort Myers are a great value, offering the same breathtaking waterfront views without all of the interior frills and upgrades featured in our Deluxe Sanibel Harbour Deluxe vacation rentals. For details on our properties, simply scroll down and click on View This Rental.